It seems like it's been longer, but just about a month ago, I became part of the XPS by Dell family with my new XPS15 9560. I wanted this review to reflect how the laptop has become an integral part of my workflow in just a short amount of time. I'll discuss a bit of the technical specifications of the laptop, but I really want to focus on why it's become so critical for me already. The spec list really goes on from there, but as you can see this laptop is ready for business. With digital photography the RAW file sizes can be pretty ridiculous. 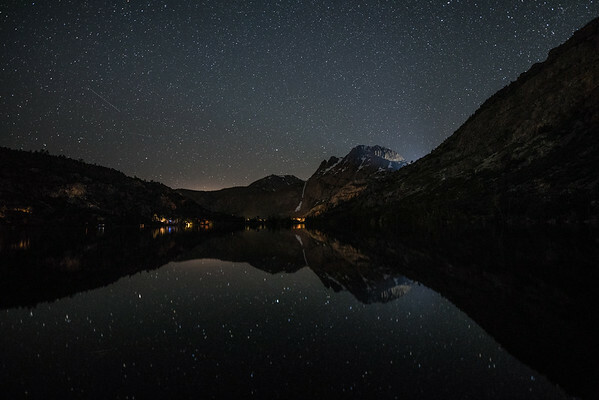 When it comes to night photography, whether I'm shooting timelapse or star trails, I can often be working with a few hundred RAW files at once. That type of processing can be really time intensive and previously not something I would ever dream of doing on location. Regardless of where I've traveled the last thing I want to do is spend unnecessary time in front of my computer. With these specs, I can spend less time processing and more time exploring. 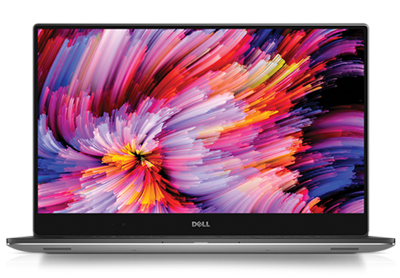 "With these specs, I can spend less time processing and more time exploring"
With the specs that the XPS touts, the design could easily be forgiven if it were less than desired. Luckily, that's not the case. 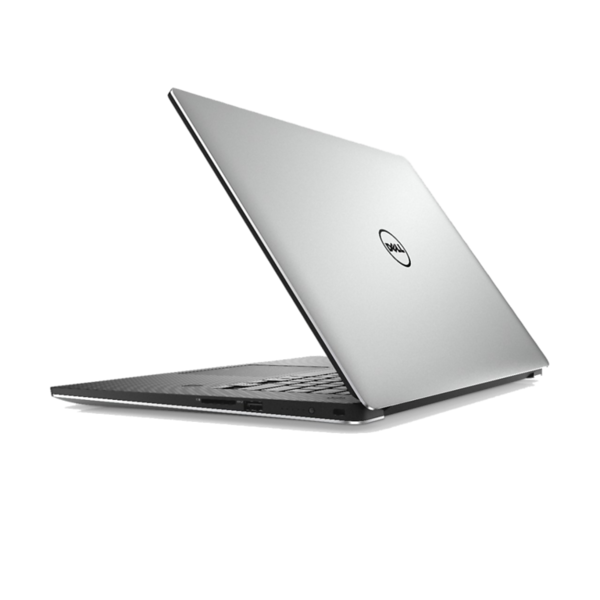 The XPS weighs in just over 4 pounds, is constructed of machined aluminum, and has a carbon fiber palm rest with soft touch paint. I wasn't too sure about that last part until I tried it out. It's a really nice feature that could go easily under the radar, but is a really nice touch (no pun intended). I keep having to stop myself from saying, "for a machine with all these specs, you would expect," so just keep them in mind as I talk about everything else. 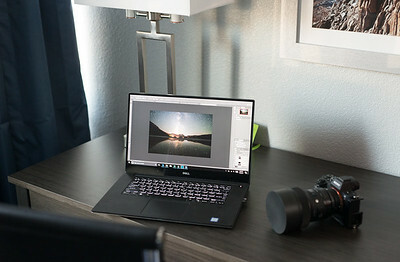 All in all, the XPS has been designed to match it's awesome feature set. This partly falls under the design area, but deserves a topic of it's own. After all, it's debatably one of the most important aspects of the laptop for my needs. On the design side, the XPS display is edge to edge and it's visually beautiful. That means no huge bezel taking up extra space on the side, just 4K goodness. While the asthetic is important, it means nothing without the functionality needed to produce results. Again, thankfully that's not a concern. 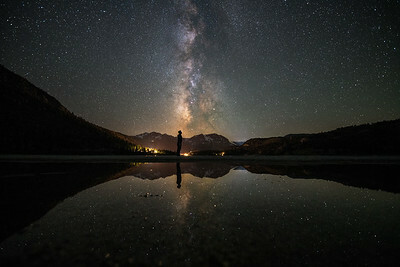 I snapped the photo to the right while I was working on an edit from my recent shoot with the Sigma 14mm f1.8 ART lens. Continue reading and check out the results just below. In the past, I've tried my best to find ways around this and be able to edit from the road. I've made presets for some of my favorite software, changed my workflow to edit, email, check colors on different devices, edit, repeat, and on and on. They got me by when I had no other option, but they weren't the best solutions. With the XPS screen covering 100% minimum of Adobe RGB at 4K, it changes the game while traveling. I can use my presets or edit using an identical workflow to my at home workstation and be confident in the results. 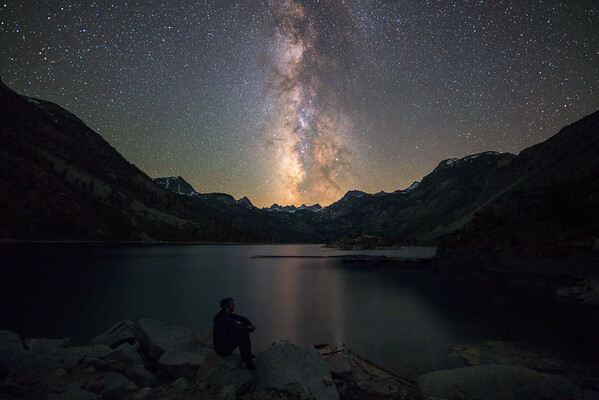 This was one of 8 start to finish photos I edited while in the Eastern Sierras shooting with the brand new Sigma 14mm lens. I knew I was going to be exhausted after returning from the trip and on a tight timeline for getting everything together. With the XPS 15, I was able to have all the photos processed and emailed before I left the mountains. If I sound overly excited about this, it's because I am. Before I got my XPS, I read some pretty outrageous claims about expected battery life. "The MobileMark 2014 test showed the battery life of up to 10 hours and 50 minutes and a Netflix Streaming Video time of up to 7 hours and 23 minutes." Remember that thing I said before about the specs? (Insert that here), those are some pretty crazy claims. I haven't tracked my actual battery time, but I suspect it's a little bit lower when I'm full out processing. Either way, I rarely see the "battery low" notification. It either lasts long enough for me to get what I need done or I know I'm in for an extended edit session and I've found somewhere to plug in. With my field of photography, time is something I really have to value. If I'm traveling, I need to scout during the day and then be awake all night to shoot. It doesn't really leave a lot time for things like eating and sleeping, let alone anything else. So, I'm always looking for ways to make my life easier and more efficient. If you couldn't tell, the XPS has definitely fallen in to that category for me. Even though the display is on the smaller side for working at home, I've often found myself grabbing my XPS to edit instead of sitting at my workstation. I think that should speak for how much I've become accustomed to and enjoyed working with it in such a short period of time.